One distinctive aspect of this piece is the additional colored clay slips which highlight the design. 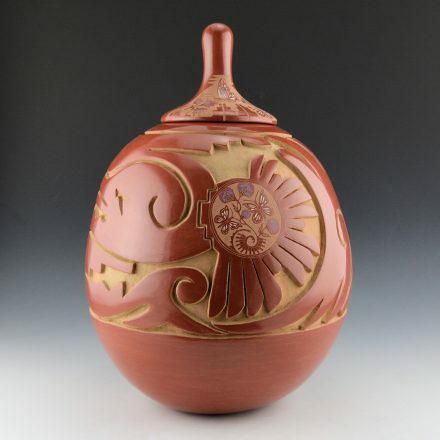 There was a very brief period when she used clay slips of various colors for her pottery. This one has white, green and blue additional colors added to the butterflies. Grace said that Joseph Lonewolf (her brother) gave her the clay colors and then when she ran out she didn’t get any more. 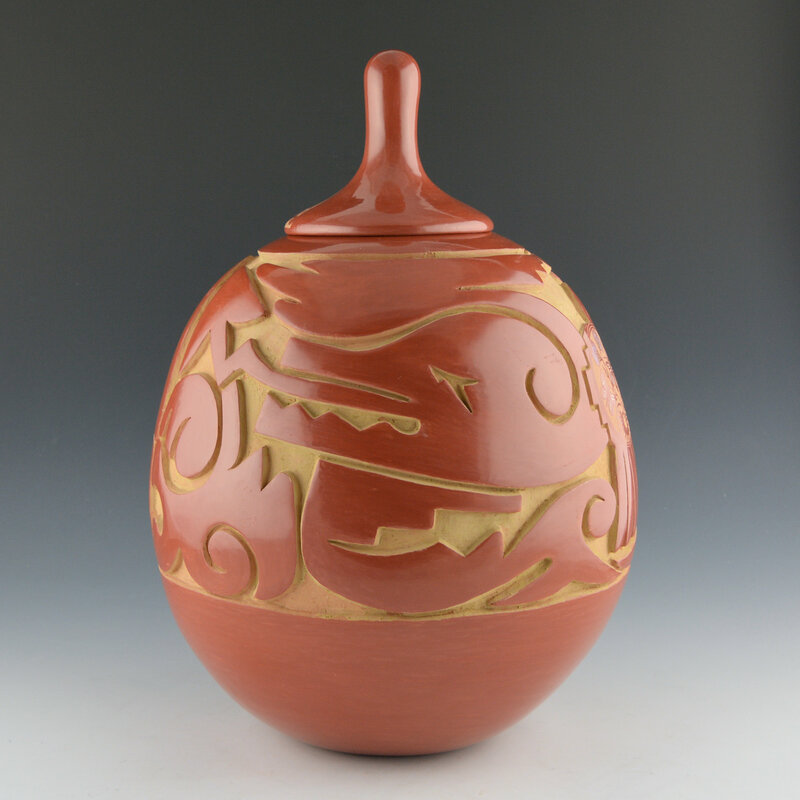 The jar is highly polished and fired a deep red. 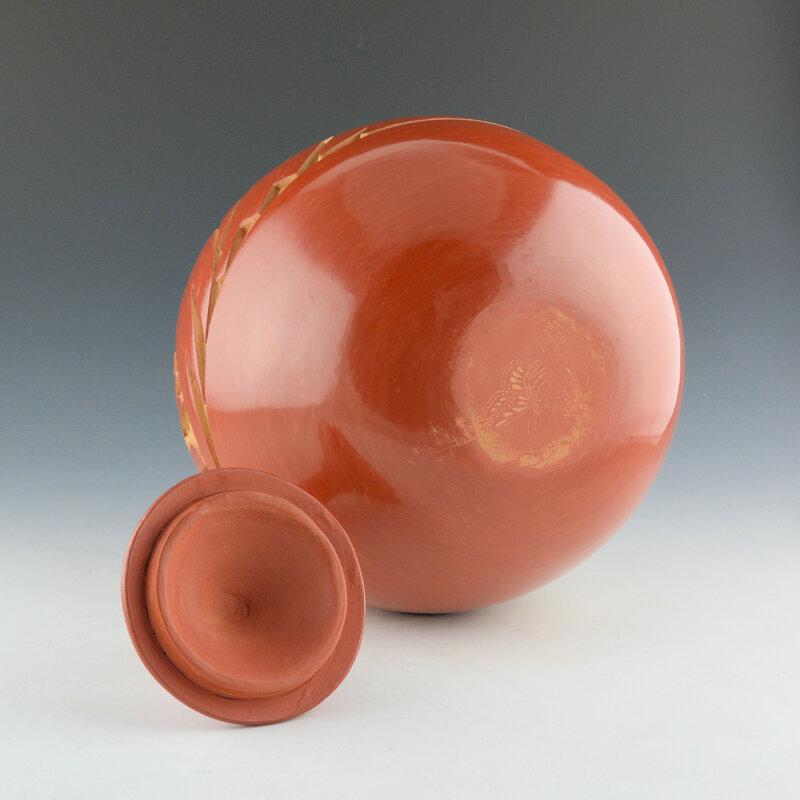 It is certainly a classic and of her few pieces at this size and with a lid! 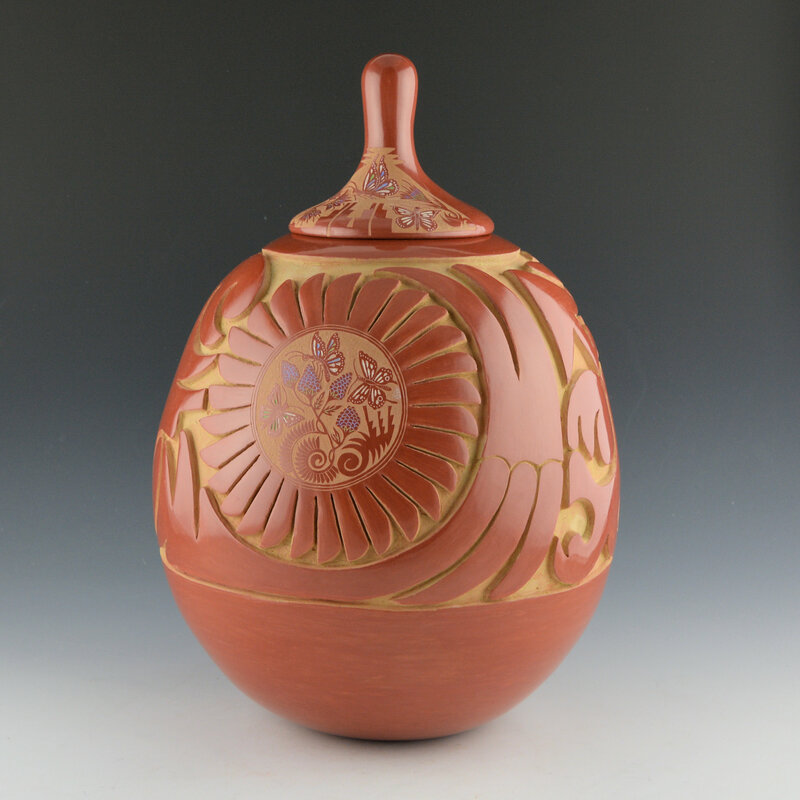 It is signed on the bottom in the clay, “Grace Medicine Flower”. 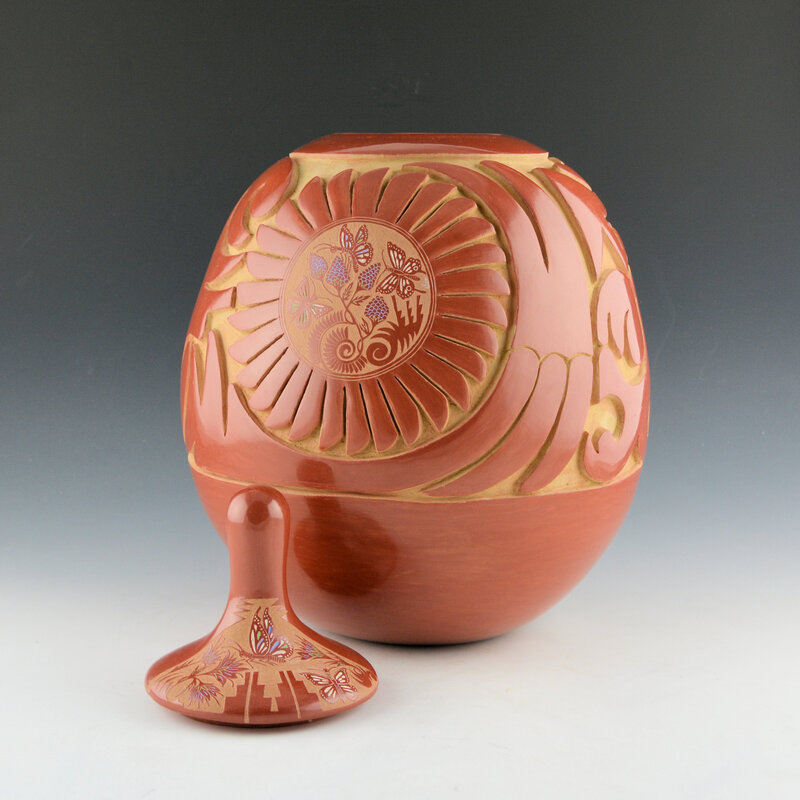 Note for the signature on the base, there is an incised butterfly along with a flower extending up the side. It is in very good condition with no chips, cracks, restoration or repair.